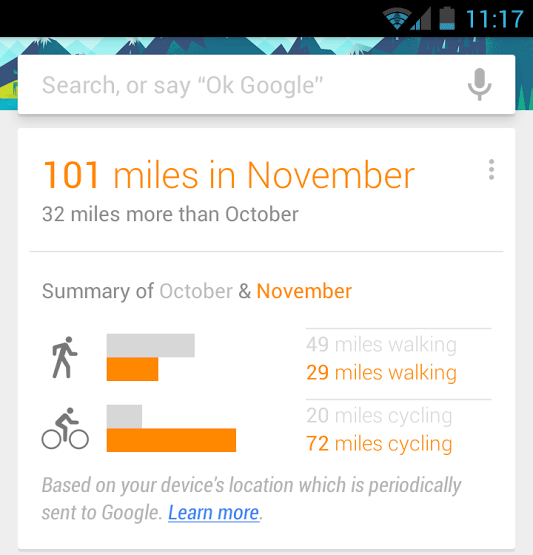 Google instantly changes their features day by day, now this time it added a new feature to display their audience about miles which they have walked or biked in the month. The social spaces are picking up about the high tech feature, where folks are observing what number of miles they walked or biked in November compared to October. The following picture from Kimberly Hancock as she published on her Google+ account.